The ADH700 series half-brick isolated DC-DC converter provides a single regulated low noise output. ADH700-48S28 with 28V/25A output and ADH700-48S50 with 50V/14A output. It has a Telecom input range of 36 to 75Vdc and is designed primarily for use with standard 48 V telecommunications equipment supplies. 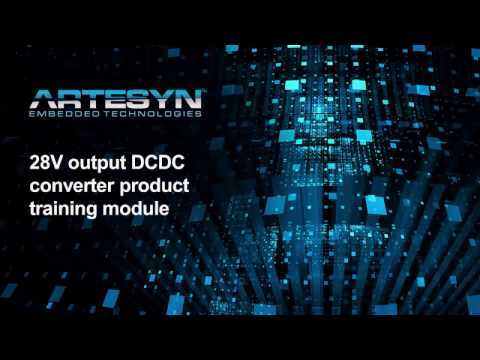 The converter’s main application area is in low power and remote radio head (RRH) telecommunications applications. Rated at 700 watts and with an ultra high conversion efficiency of >95% at half load, the converter can operate over an ambient temperature range of -40 to +85˚C, continuing to deliver full power up to a baseplate temperature of 100˚C. The output voltage can be trimmed from 14 to 33 Vdc to meet a broad range of application needs and there is no minimum load requirement. The conversion technology employs 280 kHz fixed-frequency switching to help minimize external EMI filtering requirements. Based on a high power density open-frame design that incorporates an aluminum thermal baseplate and is optimized for either conduction or forced air cooling, ADH700 series converters have an installed height of just 0.5 inch (12.7 mm), making them ideal for systems with demanding inter-board spacing requirements. 2.400" x 2.300" x 0.500"